After touring globe and beautifying the streets of eight different cities, contemporary art initiative POW! WOW! takes to its hometown in Oahu, Hawaii for its 2017 festivities. 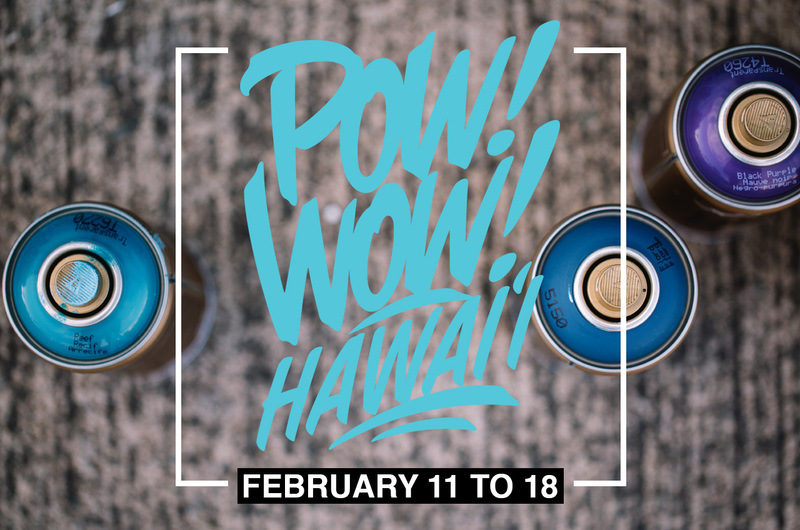 Taking place between February 11th and the 18th, artists and musicians will gather at the Kaka’ako neighborhood and create all new murals and installations. The festival is fleshed out with a block party alongside the Honolulu Night Market, an exhibition curated by Thinkspace at the Honolulu Museum of Art, a print show with Detroit-based 1xRun, artist talks, “Saving Banksy” documentary premiere, “Art to the Pitch” soccer tournaments, break dancing battles with UDEF, as well as a DIM MAK Anniversary Concert with Steve Aoki presented by Electric Palms and POW! WOW!.